Managed Remote Backup solution for disaster management - WebHostUK Ltd. Need Backup Solution for you Website? Robust JetBackup Backup Solution as an add-on with your Website hosting plans. WebHostUK is thrilled to announce the launch of Robust JetBackup Backup Solution as an add-on with its web hosting plans. What is JetBackup Backup Solution? JetBackup is the cutting-edge backup technology ideal for data protection. 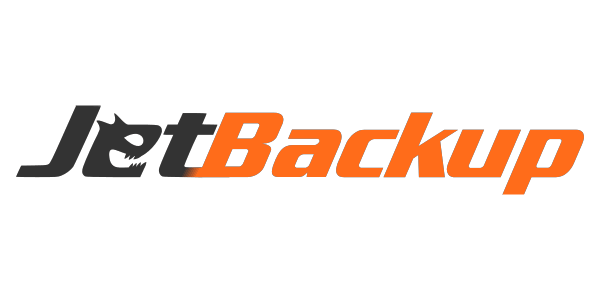 Using JetBackup Backups, not only do the backups on databases can easily be performed but also the time consumed during the backup process is minimal as JetBackups does incremental backups. Experience the power of world class backup solution. No more worries on data loss or unpredictable disasters! With WebHostUK JetBackup Backup solutions, customer will be able to maintain backup of their data as a disaster recovery solution. You will be able to securely and affordably protect important data against loss and unintended modification. JetBackup Backup solution is ideal for businesses of any size with data storage needs or disaster recovery planning. Where is the Backup Server located? What is the maximum Backup space offered by WebHostUK? WebHostUK offers you flexible backup size option, meaning you can choose the size of backup space according to your requirement. WebHostUK Backup size options range from 1GB to 1TB which is ideal to maintain multiple backup copies. How much Backup Space is ideal for me? If you are looking forward to maintain multiple backup copies like daily and weekly, it is recommended you choose twice the size of your data. For instance, if your data is of 25 GB, it is recommended that you purchase 50GB Backup space. Is there any contract to order JetBackup Backup Solution? No there is no contract! WebHostUK offers easy billing options starting from monthly to triennially. If you select monthly billing cycle, the price will be £ 0.25 per GB. 4 × 0.25 = £ 1.00 per month. WebHostUK offers huge savings on annual billing cycle starting from £ 0.23 per GB. 5 × 0.23 × 12 = £ 13.75 per year. How to purchase WebhostUK JetBackup Backup Solution? The JetBackup Backup Plans will be available for purchase from December 1, 2013. If you Pre-Order now, you will be getting 10% Recurring Discount for life. Customers who Pre-Order JetBackup Backup Solution, they will be provisioned with JetBackup Backup Account on December 1, 2013 itself which will also be the beginning of billing period.